Free-to-play, but you gotta work for it! Edit: there is an updated version of this article here. I was in a Reddit thread earlier this week, when a potential Eternal player, coming from Hearthstone, wanted to know about the game, including how free-to-play it was. I suggested that I thought it is more “F2P” than Hearthstone, but another commenter disagreed. In many areas of comparison between games there is a subjective element to preference, but I felt like this is an answer that could be solved by cold hard math, and my curiosity was piqued. I decided that I would work through all of this, and post it for everyone to see, so that is what we are going to be talking about today! How do the fundamental units of the economy compare? What is the cost of a single top-tier deck with respect to in-game currency vs. USD? What is the price of “the metagame” with respect to in-game currency vs. USD? How many constructed games do you need to play to get the above? How do Daily Quests factor in? Do they greatly assist card acquisition? For those of you familiar with Hearthstone, you can skip this, since I will just be running through the structure of prizing and prices in Hearthstone. This will only be useful to those without recent experience with the game. Although Eternal is mechanically most similar to Magic the Gathering the economy is heavily inspired by Hearthstone. There are a number of tweaks that Dire Wolf Digital has put on things, especially in terms of the exact formulas being used, but you will see that the core of the Eternal economy is very Hearthstone-esque. There are a lot of things people complain about related to Hearthstone, but their economy is actually quite brilliant in both its simplicity and elegance. Similar to Eternal, Hearthstone has 2 fundamental currencies: Gold and Arcane Dust (Dust for short). Let’s start off by talking about Gold. You can use this to purchase packs, or gain admittance into the Arena. Packs cost 100 Gold each, and being admitted into the Arena is 150 Gold. Arena is similar to Draft in Eternal (I will collectively be referring to these as “Limited” when relevant) with the major economic difference is that Arena is not “keep what you draft”. None of the cards you take are added to your collection, so all you gain is your winnings. You gain Gold by playing on Ladder (or Ranked as we say in Eternal), and get 10 gold for every 3 wins. You also get Gold from Daily Quests, which range from 40 to 100 Gold in value. Dust is almost exactly the same as Shiftstones (Stones for short) in Eternal in terms of its functionality. You gain Dust by liquidating unwanted or excess cards, and use it to purchase new cards that you want. Hearthstone also has 4 rarities; Common, Rare, Epic and Legendary. These cost 40, 100, 400 and 1600 Dust respectively, and “disenchant” for 5, 20, 100 and 400 Dust. You acquire cards Packs are 5 cards each, and can consist of any combination of rarities (at least 1 rare or better). There are also “Golden” cards, which have cool animations and different frame, and these disenchant at a premium. As mentioned above, Hearthstone also gives you Gold for game wins, similar to Eternal. The scheme they use is every 3 games gives you 10 Gold, which you can then use to buy packs or Arena tickets. I should note that you are limited to 100 Gold a day through this mechanism, which implies 30 match wins, which is some pretty intense grinding. I am going to be ignoring this limit in our calculations moving forward, and assume you just get 10 Gold every 3 wins. To begin with, we need to sort out the exchanges between various resources within the in-game economies, as well as outside input measured in USD, and game wins. Some players want to just buy up all the best decks and skip any work, and some people can only afford a fully free-to-play experience. A lot of people will be using a mix of the money and time obviously, but we are going to be pulling from the two extremes to show the range. All calculations are in USD, and do not add in any taxes. Different regions have different rules about the application of such fees, but we are just going to ignore all that. We are talk just plain ol’ American bucks, at the sticker price. We are assuming large sample sizes here. Although it is possible to “run hot”, we are focusing on expected values only. This applies to everything in the article, and anyone posting junk about “getting lucky” or “being unlucky” will gain my scorn for all time. When doing the Eternal numbers I am not factoring in the value of premiums. I can’t easily find a source on the premium drop rate, so lets just ignore that for simplicity. In addition, the contribution of Premiums to Stones from packs would be almost nothing, since the Premium bonus on cracking Commons and Uncommons is basically inconsequential. Only Premium Rares and Legends would matter, and they come up so infrequently I doubt they would move any value more than 1-2%. I assume a 10% chance of pulling a Legend from a pack in Eternal. I’m not positive that this has been confirmed anywhere, and I wasn’t able to easily find a source, but I have always been under the impression that there is a 10% Legend drop rate. Anyone who has a source for another number please send it to me! Any special bonus offer is ignored. In Eternal you are guaranteed a minimum of 3 Legends in many large Booster purchases, and get monthly rewards based on your ranking, and Hearthstone has its own similar promotions. Let’s ignore these completely, and say that they are just a cherry on top of whatever else is going on, and that they don’t significantly impact the math. It is particularly hard to account for these, since we don’t know how something like “3 Legends Guaranteed” is executed. Do they seed 3 packs with automatic Legends, and the rest have normal drop rate, or is it that you get your 32 packs and if there are fewer than 3 Legends the game upgrades a couple of your Rares? Nevertheless, these bonuses should be basically inconsequential in the big picture. I also don’t include the material you get from starting the games. Free Forge? First Arena run on the house? Achievement bonuses? None of it is included. This means your first deck in either game will have a significant discount relative to the prices that come up later. For this iteration of the article I am going to ignore the impact of Adventures in both games. I may return to this at some point in the future, but for now I would assume that you should just add on the cost of all relevant Adventures for each game in order to have a functional collection. What we want to figure out first, is the “exchange rate” between Dust/Stones, packs, and money. This Wiki gives the statistic for Hearthstone, and found that the average pack value in Hearthstone was 98 Dust. Preforming the same math in Eternal is easy, as you can use the following formula (C=Common, UC=Uncommon, R=Rare, L=Legend, SX=Stone value of X). EDIT: This thread was used in the original article, which claimed pack value for Hearthstone was 131 Dust not 98, and I have since been given a better source (Thanks Rekenner). Numbers in the rest of the article have been adjusted as a result. Although the most obvious way to buy into a game is with real world money, both games are designed to allow you to win Gold via winning games. Therefore we can say there is another type of currency: Game Wins (GW). This metric obviously matters more from the “F2P” aspect of the game, as people wanting to build a collection without investing real world money are only really interested in this number. As mentioned above in the Hearthstone economy primer, we are assuming that the 100 Gold per day cap for Ladder play doesn’t matter. We are always getting 10 Gold for 3 wins, since reaching the cap would only apply to extreme grinders. In Eternal, I think the 10% chest upgrade rate has been confirmed, but I don’t have a source to point to. Anyone who can find this for me should send me a link so I can post it here. I am also assuming that 10% upgrade rate is the same across all chest types (Bronze and Gold have the same chance to upgrade, and the second upgrade on a chest is just as likely as the first). I am totally ignoring the value of the bonus Premium cards from Platinum Chests. I can’t find any data to tell me what the chances are of different levels of rarity, and that has a huge impact on the value of this bonus. Ultimately, this doesn’t matter very much since the drop rate of Platinum chests is very low if you are playing ranked, and the value of Common and Uncommon Premiums is essentially inconsequential. I am also going to assume that the “value” of a GW in the two games is similar. This is obviously very difficult to verify, as different decks take different amounts of time to win on average, and you could make arguments about other factors in the games making Eternal Game Wins being worth more or less than Hearthstone wins. We are going to ignore all that and say they are close enough in value. There is an added level of complexity though. We are looking at the value of wins in terms of Stones rather than Gold, since Stones actually give you decks. A Bronze chest gives a common and a Silver chest gives an uncommon, no big deal right? Well, we also need to account for the chance a chest upgrades to Gold or better since they will give you a pack which obviously has a lot of Stone value. We can still fit this all into an equation though; it just gets a bit more messy (look above to find definitions of terminology). With all this, we can add to the above table, and find the number of GW needed to “get” a pack. Here I want to make clear that I am calculating the number of GW needed to get a pack worth of Stones, meaning I am counting both the Gold and the Dust we acquire from game wins. This is a slightly superficial mathematical conversion since I am blending in a lot of values to spit out one number, but it should work over a long enough timeline. To check our calculations we can compare our number with real life experience. Intuitively, 5 wins equalling 1 packs sounds about right. That is approximately 350-700 Gold just on the chests we are guaranteed to open, but getting an upgrade anywhere along the way probably gets you to about 1000 Gold. Add in a little value from the cards you open, and that number seems roughly correct. All this is well and good, but we don’t play games of ladder with Packs, Gold, or Stones. We play them with decks! So, now we want to convert these numbers into the cost of a deck. This is pretty easy once we have these values we have dug up so far, but lets work through things systematically to make everything very clear. When calculating the value of a deck, we are just using the Dust or Stone value of the deck to calculate the number of packs you need to open. This basically assumes that every card you open gets turned into Dust or Stone, and that you never open any of the cards that you want. Therefore the cost estimates are actually ceiling values, since opening any card that is part of the deck will act to reduce the effective costs. I am pulling the Stone/Dust value of decks from RNG Eternal and Viscous Syndicate’s info. If they made some error in calculate the values of decks (such as not factoring in cards you get for free at the start) that is on them. I am pulling a relatively typical build of these decks that is intended for top-tier play, making no budget substitutions. I firmly believe it is possible to make it to Master in Eternal with 0 Legend Rakano, but I also doubt that is the optimal build of the deck. Lists from RNG Eternal may not be optimal for the meta this second, but they are certainly good enough for this exercise. Vicious Syndicate pulls lists from top players and posts them. I am taking ballpark average value from here. If you feel strongly that my Stone/Dust estimates are off by more than +/- 10%, I would encourage you to let me know so I can adjust the calculations. I am in no way accounting for the cost to “upkeep” a deck. Keeping up with the metagame as new expansions and sets come out in Hearthstone is non-trivial, but we can’t really include that in our calculations for a whole range of reasons. Once an established rhythm of releases for Eternal comes about I could revisit this exercise, but that is not going to be for a while still. Once again, I am not accounting for the value of Adventures. You can probably just add the value of adventures on top of the stated price and that is pretty fair. Below I have pulled some Stone/Dust values of a range of top-tier decks for both Hearthstone and Eternal (January 2017 meta). I selected Pirate Warrior, Aggro Shaman, Reno Mage and Reno Warlock as my sample decks for Hearthstone, as well as Rakano, Shimmerpack, Felnscar and Big Combrei for my sample decks for Eternal. Each of these are highly competitive strategies and showcase a range of deck archetypes, as well as including some of the cheapest and most expensive decks that are played in their respective games. We have our first real result! What we can say from so far is Hearthstone has on average slightly cheaper decks if you are going to buy with real money, but most decks in both games are close-ish to one another in price. Eternal has a really high top end though, as the Combrei decks are essentially mono-Legends. When looking at GW prices though, the prices differences are massive. You need to win over 1000 matches to have access to a top-tier version of any deck in Hearthstone, while Eternal can give most decks at about 400 wins. That is over a 2-fold difference! Even the cheapest Hearthstone deck requires more wins than Big Combrei! Holy moly! 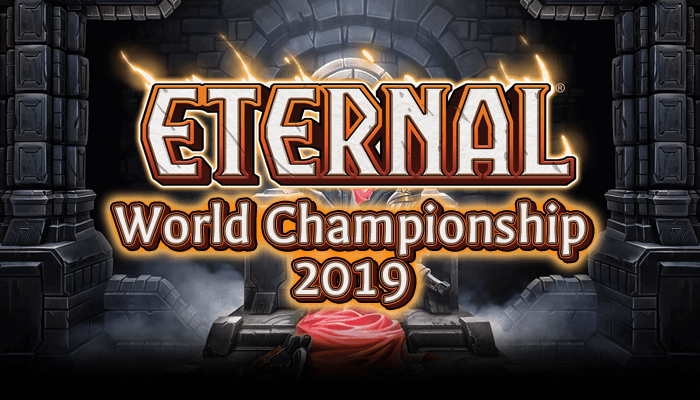 Eternal is looking very strong on the F2P front, but we have some more questions to answer before we make any conclusions. It should be noted here that decks in both Eternal and Hearthstone compare very favorably to Magic the Gathering, which should surprise no one. When you are playing either on-line or in paper you are very lucky to spend less than 100$ on a competitive deck, with most top tier strategies coming in at well over 200$. Although the comparison is not totally fair given the fact that Magic is tradable, you are going to need to be saving >50% through trading to keep up with Eternal and Hearthstone. I understand the bajillion different reasons these comparisons are flawed, so I’m not going to touch on Magic again, but I just wanted to drop that here. The above calculations are assuming you want to have just 1 deck, but that that is boring right? Don’t you want to have a range of decks? Obviously doing calculations based on the values of an entire collection is biased against Hearthstone because they have just been around longer, but we can do a quick calculation to see if there is anything to learn about acquiring a range of decks rather than just 1 deck. Your first reaction to this might be “Why is this interesting? Can’t we just add up the values of the decks and call it a day?” Not quite. There are some cards that show up in multiple top decks, and it is not like you need separate copies for both decks. This is truer in Hearthstone than Eternal, since the game has always been defined by Neutral Legends from Ragnaros and Leeroy Jenkins in Classic, to Patches and Kazakus in the most recent expansion. These show up in a lot of decks, so we should be fair to Hearthstone’s advantage here. When looking through the decks involved in these calculations for Hearthstone there were 7 Legends that showed up twice. These were Patches, Finley, Thalnos, Brann, Kazakus, Reno Jackson and Sylvanas. There was also one Epic that showed up in multiple decks (Doomsayer). This lead to a 11600 Dust discount on buying all these decks. In contrast there was very little “metagame discount” for Eternal, as Sandstorm Titan was the only card that showed up in multiple decklists (I am sure this is a shock to everyone). So, let’s summarize the results of this in a table! At this point, you should be realizing that buying into Eternal wholesale is fairly costly if you just want to spend money, as the lack of a “metagame discount” really hurts. This is amplified when you include a deck like Big Combrei, showing that Eternal’s top end is much higher than Hearthstone. That being said, if you are planning to build your collection solely from playing games Eternal is still miles ahead, coming in at about half the number of GWs needed to build a range of decks. The choice of decks to include here is going to make a really big difference in these numbers. If I chose Kun Druid and Miracle Rogue rather than Aggro Shaman and Reno Warlock these numbers will end up looking worse for Hearthstone. I could also easily choose Combrei Aggro over Big Combrei, or Jito instead of Felnscar and the numbers would look better for Eternal. I’ll explain my motivation here – I have a natural bias towards Eternal over Hearthstone, so when in doubt I make assumptions and choices that favor Hearthstone so that my conclusions can be justified. I wouldn’t want someone to accuse me of being too easy on Eternal for the purposes of propping up its numbers. This bias in my process is probably most manifest in the metagame composition calculations, so I wanted to make that clear to everyone now. To this point, when calculating the number of game wins needed to get a given deck I have only been focusing on the regular income. Both Eternal and Hearthstone have daily Quests you can do to gain addition Gold, which make a very big difference. In order to add these into our calculations we need to make some fairly hefty assumptions, as we need to incorporate the play habits of players, and how they relate to quests. For example, you can “reroll” quests in both games. What is the average quest value if you assume optimum reroll behavior? Who knows! These are going to be some of my looser assumptions of this entire piece, so if you have some good source for me to use as an alternative please share it, as I would love to tune my numbers. In Hearthstone, quests range from 40-100 Gold in value, and you get Quests daily. I am going to assume that a player trying to maximize the Gold gathered from quests would be scoring about 100 Gold worth of quests for every 10 GW. If a player rerolls quests that are low value, plays only when they have multiple quests active, and plays such that they maximize quest completion, you could probably get close to this. In reality, I would expect that the average player is much lower than this, as this basically means you are probably playing fewer that 5 games a day, but this number doesn’t seem outlandish for almost optimized behavior. For Eternal, I don’t have any compelling data on the frequency of different quest types. The two most common are 2 Silver chests, or 1 Gold chest, though I have no clue what the most likely distribution is given optimal reroll behavior. Here I am going to be making some even bolder assumptions. The first is that a quest has a 50/50 chance of being 2 Silver chests or 1 Gold chest if you rerolling optimally. Second, I am going to assume 5 GW per quest completion. This assumes relatively modest payout, but relatively few GW to achieve them. Overall this is probably a slightly more conservative set of assumptions than Hearthstone pay out assumptions, but still reflects a player that doesn’t play much more than required to complete quests. With this out of the way, lets recreate some of our previous tables with a GW + Quests number! Using these numbers, we can see there is actually a big bonus to both games as a result of quests. The effect of quests on GW will be smaller the more you grind, but if you are playing at close to the level for optimal quest completion we are looking at cutting the GW number by about a 50-75%. That is a lot! In reality, it appears as if the bonus for Hearthstone is substantially better, reducing the GW cost by 75%. This still leaves Eternal way ahead for the price of decks, but Hearthstone has made up significant ground in terms of the cost of the metagame. Our last modifier to all this information will be the Limited bonus! Both games have a Limited format where you can spend your Gold and get prizes based on your record. In Eternal we know it is better to draft with your Gold rather than just drop it on packs because the pay out structure of draft is fairly generous. We need to figure out how generous this payout actually is, since a sizable Limited bonus will have a big impact on the number of Ranked games you need to play to get top tier decks. We are going to be using a 50% win rate to calculate the chances of winning in any given round. Literally every round is just a coin toss. It might be possible to come up with some more sophisticated equation to model changes in difficulty in various rounds, but any such equation would add little to the model. We are assuming coin tosses all the way down. I am not going to be going through my methodology in finding the probability of various outcomes, since it requires some statistical know-how that I don’t think adds much to this conversation if you don’t already understand it. Don’t worry about how I figured out there is an 8.2% chance of going 5-3, just trust me that it is right (assuming 50/50 odds). Eternal Draft is “keep what you draft” style, meaning you add cards to your collection, as opposed to Hearthstone where the cards are not added. As part of our reward then we should add 4 packs worth of Stone to your winnings even when you go 0-3. This assumes that you are “rare drafting” at an exactly average rate, which you can obviously influence. Reward rates for Arena are super weird, so I am just pulling numbers from a site that seems to know what it is talking about. Are these numbers right? No idea, but I have to trust them. I am going to be totally ignoring the dust added from random cards at high win levels, since these have low value, low drop rate, and happen only in the rare circumstances of having 8 or more wins. If anyone who can find me a source for hard numbers on this I would be thankful, but I doubt this has a major impact on reward rates overall. As I stated earlier, I am ignoring the premium cards that drop from Platinum chests. This assumption is most relevant here as there are more chests given out in Draft than anywhere else, so I felt I should repeat it. If you are interested in my reasoning, please look above. I am also assuming here that the time value that goes into a Limited run is irrelevant. If matches for the two games take roughly the same amount of time than Hearthstone’s Arena is going to take on average longer than Eternal since they cap at 12 wins rather than 7. It would be possible to factor this in somehow, but the effect would be minor so we will just ignore it (and we are also assuming you actually enjoy playing since this is a game). Below is a table that summarizes the total probability of every possible score in Draft, as well as the expected value of the prizes of that outcome converted to Stones. I then give that number plus the value of cards from the Draft value itself, and than multiple it by the probability of that outcome to get the expected value added. In the very last entry you can see the total expected value of doing a Draft if you have exactly a 50% win rate. Something bizarre to note about this table that may seem wrong to someone at first look: you have a higher chance to going 7 wins in draft than 6 wins in draft. How can this be? It actually makes sense if you think about it. If you are 6-2 in draft you have a 50-50 shot of going 7 wins or 6 wins, right? Well, if you end up with 6 wins at the end of a draft you must “go through” a 6-2 record first, meaning there was a juncture where you were just as likely to go 6 wins or 7 wins. Not all routes to 7 wins must “go-through” the 6-2 record first, since it is possible to go 7-0 or 7-1. Given that all routes to 6 wins require you to have at least an equal chance of getting 7 wins, and there are alternative routes to 7 wins, 7 wins must be more likely than 6 wins. If that doesn’t make sense to you, it is hard to illustrate the proof here, but I promise you that it holds up mathematically. Ok, we have seen the results for Draft, but before we move onto Arena I want to make a note about returns on investment. In Eternal you can spend your hard earned Gold on packs or Draft. Conventional wisdom in the community has always been to draft for very sound reasons, but we are now in a position to prove this arithmetically. This table shows us that the average Draft is worth 3084 Stones. Instead of drafting you can just buy 5 packs right? Well that has a value of 1990 Stones (398*4=1990). This means that the return on investment, assuming you have a 50% win rate is about 1.55, meaning you get 55% more stones from Draft than just busting packs. For those interested, in order for draft to be about “break even” you need a win rate below 47%, which is going to be rare assuming the match making system works properly. Since the payout is very top heavy the best players get huge bonuses, with a win rate of just 55% having a 2.9x multiplier over investment, and 60% win rate players having over 5x multiplier. Below I have recreated a similar table for Hearthstone Arena. The prizing is strange, and involves a range of different products with different drop rates. Average drop rates for all of these is expressed here, and then the sum value is expressed in Dust. As I mentioned in my assumptions this is the source I am using for prizing. If someone has new data related to this please let me know. (If you find the result about 12 wins being more likely than 11 wins strange, I encourage you to look at my explanation in the above table, where I explain the phenomenon for Eternal’s Draft). Similar to before we want to do a calculation for return on investment. Does playing Arena allow us to get more dust than just crack packs? Answer: a little. 1 pack is worth 98 Dust, so 1.5 packs (the amount Arena costs) is worth about 147 Dust. We are making a little under a 10% profit for each Arena run if we have a 50% win rate. It is also important to note that if our win rate dips below 49% we are functioning at a loss, and the Hearthstone Arena matchmaking protects players less (as I understand it). To have the same profit as Eternal you need about 51.5% win rate. From here the prizing improves pretty dramatically with a 55% win rate giving 2.5x multiplier, and a 60% win rate giving a 5x multiplier. It should be noted that all these multipliers are behind Eternal, and players need to exceed 61% win rate to begin to see increased payout rate for Hearthstone. That being said, someone able to maintain this win rate in either game would probably build up a massive collection very quickly, and would not need to play Limited for the purpose of improving their collection. So, now we have the “Limited Bonus” of each game. Eternal has a 1.55 bonus, and Arena has a 1.22 bonus. Now, applying this bonus to the deck/collection values is easy for Hearthstone, since the only income you actually get is in Gold, and now we know you have a Gold multiplier of 1.22. In Eternal you have two income streams (Gold and Stones). This multiplier only applies to the Gold income stream, and does not apply to the Stone income (and by Stone income I mean income that can be turned directly into Stone, such as cards or packs). For those curious how I applied this in my formula quickly, I just added in a pack discount, where purchasing a pack would cost 645 Gold, since you are able to functionally buy packs for 645 Gold each when you purchase a Draft. Enough with the mumbo-jumbo! Lets see the final numbers! Hearthstone is slightly cheaper when making deck purchases with money, though the price of the average deck in both games is fairly close. Eternal is much cheaper when trying to build decks via game wins. Hearthstone has significant savings when buying all the decks in the metagame. This is a result of cross-deck Neutral Legends. Eternal sees fewer savings in this regard. When playing so as to maximize Quest value Hearthstone receives a bigger bonus than Eternal. This is difficult to calculate though, and the bonus for both games has likely been exaggerated in these calculations compared to normal play habits. Eternal has a sizable bonus from playing Draft rather than just opening packs. If you maintain a 50% win rate you are able to functionally “buy packs” at 645 Gold each. The Arena bonus for Hearthstone is just over 20%, and offers a modest savings over just cracking packs. So, in conclusion, Eternal is the more “Free-to-Play” game. That’s it! All the math for today! There is a whole lot of stuff going on in here, and if there was any piece of info that I missed, or equation I got wrong please let me know, since there is obviously a lot of moving parts in this. Be sure to check out the various sources that I used since this was built on the backs of TONS of good research work from other places. If you don’t like some of my assumptions feel free to take a crack at some of the equations yourself and see what you come up with, and maybe get into contact with me through Reddit or Discord to talk about your findings. Some people prefer playing limited to constructed. Speaking as a Hearthstone veteran who was able to draft as much as I wanted and basically never ran out of gold, I know that it is far easier to support a drafting habit in their “phantom draft” format where you don’t keep the cards you pick. If you are looking at how F2P the games are then I would like to see the win rates required to “go infinite” in limited, and the average cost of a draft in gold once you factor in the gold reward of the draft for an average player. I totally understand there are people who prefer limited, and I didnt want to diminish that in the article. The easiest way to answer this is figured out what WR gives you another EV in gold of another admission. Eternals’ win rate is about 64% and HS is about 56%. Hope that answers your question! Great article! I’m glad to see that the math supports my intuition that Eternal is a much more friendly FTP game. In your GW Stone equation, the coefficient of S_UC for bronze chests should be 0.09, not 0.1: 10% chance to upgrade from bronze to silver, but of that 10%, only 9% will remain at silver since 1% will further upgrade to gold/diamond. When calculating costs of decks in Eternal, the dust/dollar value in the description beneath the table looks like it wasn’t changed when you edited that value earlier in the article. In the description below the Hearthstone arena table, you said that arena profit is a little under 10%, but the math gives you a 22% profit. In the last Hearthstone table, the +Arena column looks incorrect, since its values are higher than those in the +Quests column (except for Total). OK, Ill check these things. If you saw earlier in the article I made some changes to EV because I found an error. Maybe not all the needed changes were made. Thanks for checking the math tho! I’m curious what Reno Mage and Reno Warlock decks you are looking at to get those dust costs. They are more frequently 11000-12000 Dust each. I pulled numbers from VS. If they got their numbers wrong blame them. I plan to revisit this article soon to polish up a few aspects that I was sloppy about, and one of them is using better source numbers. Still, if you think those numbers are conservative, you can do your own estimates, like add 20-30% to all the prices. One other major thing you aren’t taking into account with Hearthstone is Adventures. Some number of cards in that game are only available via Adventures – they are not craftable at all until those sets rotate out of Standard, and thus can’t be crafted at all for Standard (the popular format) decks. These are *extremely* expensive in terms of gold cost, with each wing costing 700 gold, and some cards requiring multiple wing purchases before they are accessible. In terms of monetary cost, they are somewhat cheaper, with a wing generally costing $5-7 or the whole adventure being unlockable for $20-25. Of the four decks you posted, literally all of them require some number of Adventure cards. Pirate Warrior requires Sir Finley Mrrrglton, which is three wings deep in The League of Explorers, which is 2100 gold to unlock. Aggro Shaman requires Finley and Tunnel Trogg (2100 gold into LoE), as well as Spirit Claws/Maelstrom Portal, which are four wings deep in Karazhan (2800 gold to unlock) for a total of 4900 gold. Renolock requires Reno, Brann, Dark Peddler from LoE (1400 gold), Demonwrath, Emperor Tharussian, and Imp Gang Boss from Blackrock Mountain (2800 gold) for a total of 4200 gold. Reno Mage requires Reno and Brann from LoE (1400 gold), Babbling Book from Kara (2100 Gold), and Tharussian from Blackrock (700 gold) for a total of 4200 gold. Hello! Idd like to add some points about the psychological implication of some of your calculations! Now i do quite understand why you kept to math, but for a game to be ‘free to play’, it has to feel like that to players! For starters, My bias is firmly against hearthstone because i burned out on it. Your numbers show essentially that individual wins in hearthstone are less valuable then Eternal, single packs are also more valuable and that this also counts for daily quests. But this is percieved value, as in eternal it objectively takes less grinding to farm a single decl together. This is a striking difference. In hearthstone the value of playing lies in collecting select cards though high impact packs, while in eternal i feel as though im quite able to craft what i want and thus its value of play lies more in the collection as a whole, with individual packs being less valuable. For the feels this results in the following: in hearthstone, you grind from big moment to big moment (pulling that specific card from a pack). Every moment of truth (pack opening) is more impactfull. In eternal that satisfaction is more spread out, less high impact moments because individual value of packs is less, but they are a lot more prevelant. In hearthstone you do 2 to 3 playsessions to get 2 maybe 3 packs. In eternal i often get 4 to 5 packs Per playsession. Eternal makes me feel like i am continually progressing. In terms of drug abuse hearthstone is working towards a weekend of substance abuse, where eternal is drinking that sweet whiskey every day. A strange comparison but deadly accurate in my oppinion.